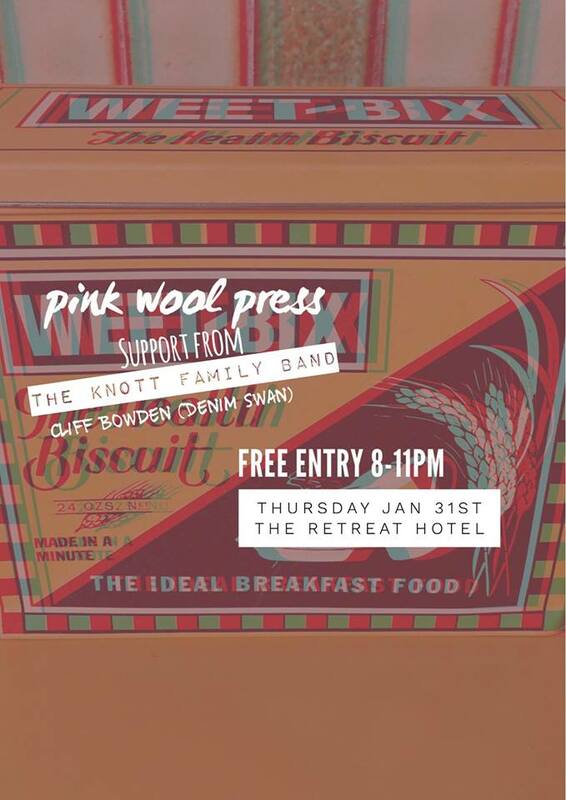 pink wool press tackle the stage at The Retreat Hotel in Melbourne to hand deliver their token bag of folk infused alt-rock in celebration of the new single and video for ‘I really hate to bring it up again’. With The Knott Family Band and Cliff Bowden from Denim Swan playing goal assist and goal attack we are sure to be in for another excellent evening with zero obstructions at this classic Brunswick pub. Expect earnest lyricism, warm clarinet, lively glockenspiel, jangly guitars and a well rounded bass to put the tinsel on your Thursday night.